For fine dining with a lake view, head to Fur Trappers Steakhouse to feast on deliciously marinated steaks and exotic meats. Fine dining, quality ingredients, a lake view, and exotic meats make for a delightful dining experience at Fur Trappers Steakhouse. The rounded menu boasts exotic meats and recipes including bison, quail, angus beef, catfish, alaskan cod, and of course the main event - steak. Whether you enjoy it medium-rare or well-done, these delicious steaks are consistently cooked to perfection by the experienced chefs. While your mouth waters in anticipation for your meal, head to the bar to grab a cocktail. Fur Trappers Steakhouse also offers the only open salad bar in all of Vallecito to let you start your meal off strong. Travel back in time to feel the nostalgia of Rocky Mountain Men in their prime during the mid-19th century. At a time when men were charged with trapping their food, Mountain Men formed the fur trade. Fur Trappers Steakhouse embodies both the feelings and the flavorful food of this era, giving you the ultimate experience. 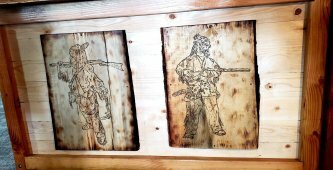 This newly renovated steakhouse is also home to a gift shop that offers Mountain Men Era gifts like furs, trapper hats, and other unique items that bring back wistful mountainous feelings after eating a fresh meal from the steakhouse. 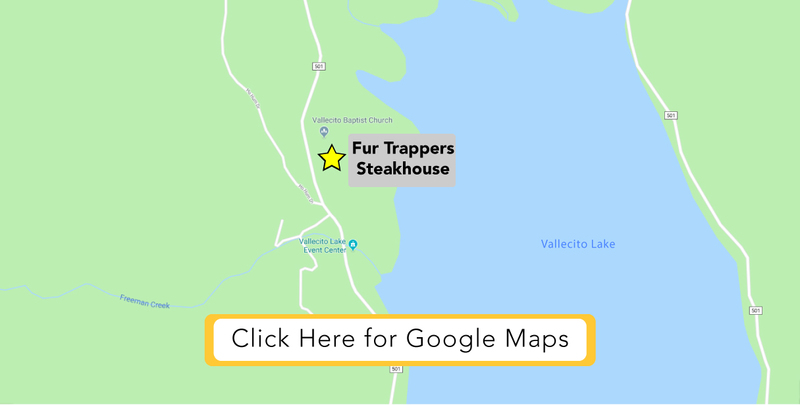 Right off the north shore of Vallecito Lake, Fur Trappers Steakhouse provides wonderful views be it winter or summer. Nestled in the mountains, this steak house promises the ultimate Mountain Men feel.